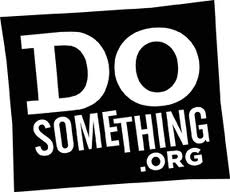 DoSomething.Org Scholarships encourage young people to think for themselves and do the right thing. There are no required grade point averages or scores, only demonstrated activity that shows young people care. Scholarships are offered in the areas of teen pregnancy, protecting the planet, animal abuse, safe driving, bullying, health education and more. Each scholarship focuses on areas of concern and encourages young people to take a stand and do something. Students age 13 to 25 may choose a cause and apply for a chance to earn a scholarship. Students entering will not only have a chance to earn a scholarship, but they will learn how they can make a difference in the world. Examples include going green to protect the planet, educating teens about pregnancy before it occurs, learning the dangers of texting and driving, and helping more animals get adopted. DoSomething.org is a non-profit organization that focuses on teaching 13 - 25 year olds how they can make an impact in the world by getting involved in national campaigns that help other people, animals, and the earth. The deadline for this scholarship is usually in JULY of each year, and the award amount is usually $2,000 - $5,000.